There are no photos with those IDs or post 15799 does not have any attached images! 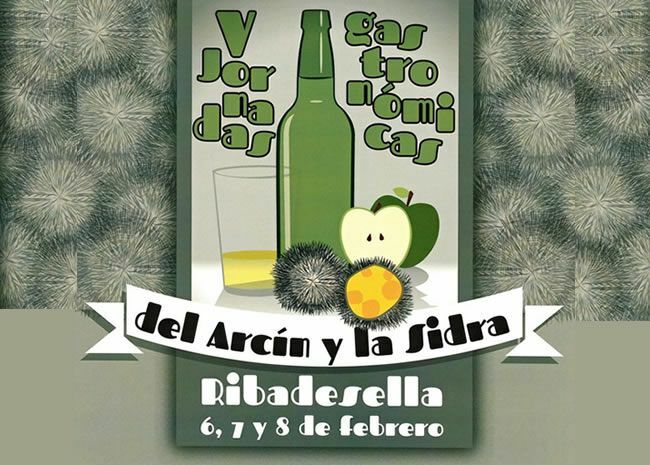 The V Gastronomic Days of the Arcín and the Cider of Ribadesella will take place the weekend of the 6 to the 8 of February in several restaurants of the locality. All menus include starter, two courses and dessert, offering their menus at lunch and dinner, its price will be 20 € (VAT included, drink not included). We detail where you can enjoy this marine delicacy, available only from January to March. Penthouse. Rock Art Center of Tito Bustillo. Of tapeo: The Hideaway, The Sand, The Salt Sea and The Tavern of Escribanu.